It’s a familiar story of how a personal passion turns into a pastime and eventually into a fulltime and successful business. John Obersnell’s story is just that, for while he was working on his first car he of course needed parts and soon knew where they were and how much he would have to pay. John also realised that other enthusiasts were in the same situation as him and this lead to his first dabble into buying and selling when he was just 17. 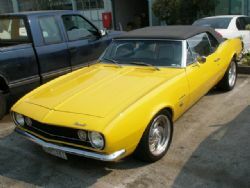 Initially John restricted himself to HK to HQ Holdens, but then the world opened and he was introduced to the likes of Camaros, ‘Vettes and Mustangs. At the age of 24, John established his business and made his first trip to the US with the intention of buying performance gear for the growing US Muscle Car scene in Australia. John made his initial contacts and shipped back home a 1978 Camaro along with enough performance parts to fill a 20ft container. John broke even with that first container, but was satisfied enough to continue on and returned to the US and repeated the exercise. That was 23 years ago and his business is now just a little bit more than a one man band. Until 1988 John worked out of his home, but as the business grew the proverbial cat couldn’t be swung any further. That led to a move to new premises at Thomastown, a northern suburb of Melbourne where the business continues to this day. To say that JT American Imports have grown since then would best be called an understatement. 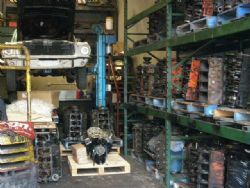 From that single 20ft container it has grown to over fifty-two 40ft containers each year that are jammed packed with spares for American muscle cars. John told us that once the container doors are closed there is 5 minutes of air left. Each container generally has up to 4 cars as well as a load of parts. John calculates that over the last 22 years he has brought in at least 1,000 cars. 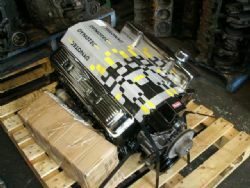 In addition to his premises in Melbourne there are also premises in California where cars and parts are stored, dismantled and then packed for the journey to Australia. Of course John is no superman as he no longer does all this by himself and he now has a highly capable team here in Melbourne headed up by Steven Omeara as well as a team in California. John continues to travel to the US every month or so to ensure the smooth operation of his business. We were interested to know what sorts of American cars are in demand and therefore were being imported. 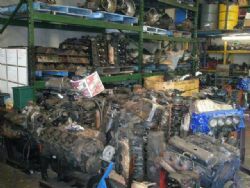 A natural extension of John’s business has been the importing of parts and cars that have been purchased by customers. With the huge acceptance of online buying through the likes of eBay, John now offers shipping to Australia of anything that can fit in a box or parcel and be lifted by one man for the single cost of $35.00. Yes you read that right! All the purchaser has to do is to arrange for the parts to be sent to John’s Californian premises and he looks after all the rest. Of course any import duty is the responsibility of the purchaser. John estimates that each month he ships between 600 and 1,000 parcels. The same service is offered for larger amounts of parts and to buyers of complete cars for which it will cost $3,000 to ship between California and Melbourne. JT American Imports continue to bring in major vehicle components such as engines, transmissions and the like. These are from cars that are just not economically viable to ship complete to Australia, so they are stripped in California and the components are then placed in a container and end up in Melbourne. However the service doesn’t stop there as his business also rebuilds engines to the tune of at least 350 each year. John said that out of these some 320 would be Chev V8s while the rest Ford. That certainly sounds very promising and not just for JT American Imports, but also for Australia’s classic car scene.